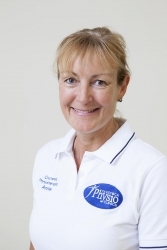 I qualified from Bristol Physiotherapy School, in 1990, after which I worked for the NHS, gaining valuable experience in many of the different Physiotherapy disciplines before specialising in the treatment of musculoskeletal injuries, in particular, neck and back pain, soft tissue, sports injuries and foot biomechanics. I have developed a busy private Physiotherapy Clinic over the past 21 years, which for the past twelve years has been based in Lamerton, near Tavistock, and now includes Lamerton and Tavistock Physiotherapy Clinics. Along side my human Physiotherapy interests I am a founding member of the Association of Chartered Physiotherapists in Animal Therapy. Post graduate studies have included a Diploma in Cyriax Orthopaedic Medicine, all levels of the McKenzie Back Care Institute, Muscle Energy Technique Seminars and a keen interest in the use of Pilates Exercise Therapy. I am a member of the Acupuncture Association of Chartered Physiotherapists. When not working at the clinic, I lead a busy life as a mother of two children. Whenever possible, I pursue my life long passion of horse riding. We love the outdoors, frequently spending time walking, cycling, canoeing or at the coast. 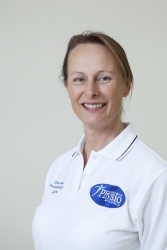 I am musculoskeletal and specialist sports physiotherapist with over 10 years of experience. I graduated with a first class honours degree from Plymouth University, worked in the NHS and then went on to pursue a career within the MOD for the military. I am currently just completing a Masters in Sports Physio at the University of Bath. Alongside that I am a physio for the English Institute of Sport and UK athletics treating funded athletes from an Olympic champion to junior potentials within a variety of sports; GB Skeleton Bobsleigh, swimmers, pentathletes and rugby players to name a few. I have a particular expertise with running injuries as a fellow crazy long distance runner myself (known as the Running Squirrel https://jomeekblog.wordpress.com). I have been a runner for 20 years but in 2013 I tried ultra- running and have never looked back. I completed the Marathon des Sables finishing 2nd and am still the highest placed British female. Since then I have become a SCOTT international sponsored athlete and gone on to represent GB in the World Trail and the 100km Road Championships amongst other races. I have experienced most running injuries; fully appreciating their frustration and equally successfully rehabilitating from them. I have learnt a considerable amount along the way which I always try to pass on to my patients resulting in many workplace successes and job enjoyment. When not working I can be found running, cycling, baking or walking my aged border terrier amongst other things. 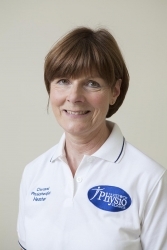 I was born in Plymouth and brought up in East Cornwall, trained as a physiotherapist in Birmingham and qualified in 1983. 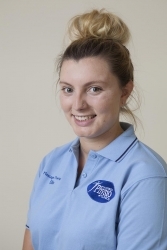 I worked in the NHS for 6 years as a rotational junior and senior physiotherapist and gained a wide range of experience across specialities including medicine, general surgery, neurosurgery, burns and plastics, intensive care, MSK and orthopaedics. I quite quickly realised I felt most comfortable in musculoskeletal physio and have continued to work in that field ever since. 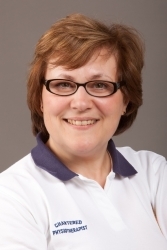 I have continued to work for the past 25 years mainly in the private sector in the Berkshire area including 10 years in my own practice and have always had an interest in back and neck pain and occupational health. For the past 4 years before moving back to the West Country I worked at a private Hospital in Reading where a specialist shoulder unit is based and have now developed a more particular interest in shoulder problems. Far more challenging than all of this has been bringing up my 3 sons who have all now "flown the nest" although I remain available as a taxi and clothes washer when needed! I have now taken the decision to make the move back to my roots and hopefully a slightly quieter life, and most important of all to finally get a dog! I have over 18 years of physio experience, having worked in Australia, the USA, Nepal, and the UK. 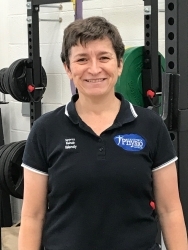 Since completing my training in Brisbane, Australia, I have gained a wealth of experience in a range of physical therapies, including all aspects of musculoskeletal manual therapy, acupuncture, Core stability and Pilates type exercise therapy. I have a special interest in working in partnership with overweight & obese clients, enabling them to overcome their barriers to being more active. I am currently part of the Plymouth NHS Weight Management Team. My most challenging job is as a Mother of two energetic youngsters. I am a great outdoor enthusiast, & one of my greatest experiences has been trekking to Everest Base Camp. My husband frequently takes part in Mountain marathons & adventure races, and as back up crew to these events I often finds myself Physio for any sporting injuries. I recently did the OMM (Original Mountain Marathon) with my husband, a 2 day event and was thrilled with our placing of 77th out of 176 teams. I Qualified as a BASRaT, British Sports Rehabilitator in 2004 at St Marys University, Twickenham, London, while serving in the Royal Navy. I am passionate about health, movement and nutrition. I am able to assess the way you move, how to make each movement most efficient and pain free and help to prevent any future injuries. I am a keen sports women such as rugby, hockey goal keeper and my main sport golf. Currently I still play golf for Cornwall ladies and have recently taken over as Vice-Captain. I have carried out rehabilitation for service personnel and civilians over the years from acute to chronic problems, I have also looked after the RN rugby veterans team doing pitch side cover for 7 years. More recently I have turned my attention to the Junior Cornwall golfers and ladies team looking after any injuries and helping with nutrition. Apart from Golf my favourite pastime is going out for long walks with my chocolate Labrador ‘Rory’ and spending time in the gym. I qualified as a Physiotherapist in 2013 from Plymouth University. I then worked in an NHS hospital before focusing on musculoskeletal physiotherapy. Since qualifying I have continued to study and am now a member of the Acupuncture Association of Chartered Physiotherapists. Previously I worked as a Course Manager and fitness instructor and have a degree in Sport and Exercise Science. I have been teaching many forms of exercise classes including Pilates since 1992. When I am not working I am a busy mother of four, only two of whom remain at home. I also have three step – children and two grand children. I am a keen traveller and have travelled in South America and a range of places in Europe. My other passion is sailing which I enjoy when I can. Having qualified as a physiotherapist in 1977 at the Middlesex Hospital I gained experience at the Westminster and Northwick Park Hospitals. In 1989 I joined the Fay Pedlar Clinics, working in Plymouth and Liskeard. My specialist interest is in Craniosacral Therapy CST; a light touch, holistic treatment which can have a profound effect on the body. It directly affects the central nervous system and thoughout the body it relieves the tensions held by connective tissue, which is universally distributed and allows movement whilst maintaining structure. Because the therapy is so gentle and responsive to the body's needs it is suitable for every age group and useful for a wide range of conditions from acute trauma, such as whip-lash, through to longstanding pain and dysfunction which have proved difficult to treat by orthodox means. I have always been curious about food and nutrition. From an early age, my father, a TV producer and director of the Keith Floyd and Rick Stein food programmes, would enthuse about the cuisine of faraway countries and I remember learning about the secrets of the Mediterranean diet for longevity. Fuelled by this interest and wishing to improve the health and wellbeing of other people, I was eager to study dietetics. Dietetics is a much misunderstood profession. Generally speaking, most people struggle to differentiate between a dietitian and a nutritionist... do you know the difference? Registered Dietitians (RDs) are the only qualified health professionals that assess, diagnose and treat dietary and nutritional problems at an individual and wider public health level. Essentially, they are the only nutrition professionals to be regulated by law, and are governed by an ethical code to ensure that they always work to the highest standard… now you know! 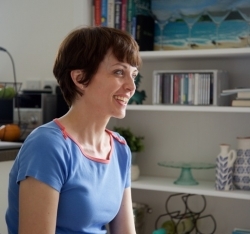 I graduated from Cardiff in 2004 and have since been in full-time employment as a dietitian in the NHS. As a graduate, I worked in a variety of specialties including diabetes and weight management before specialising in 2007 in gastroenterology. In 2015, I was appointed specialist lead-dietitian for IBD and gastroenterology and run the weekly dietitian-led coeliac clinic at my local hospital. As an influential member of the gastroenterology multidisciplinary team, I have a great deal of expertise in the nutritional management of individuals with Irritable Bowel Syndrome (IBS), coeliac disease and Inflammatory Bowel Disease (IBD). My role is unique and I am privileged to work with and for patients for whom food and nutrition can have the power to transform health and wellbeing. I have undertaken specialist training in the management of IBS and have completed the King’s College London low FODMAPs course in 2012. I can also advise on a range of conditions including weight management, women’s health and sports nutrition. I am a member of the British Dietetic Association with Freelance and Gastroenterology specialist membership and a Coeliac UK member. I now combine my NHS work with private practice and am delighted in 2016 to join the Team at Tavistock. You can expect comprehensive nutritional assessment and personalised dietary advice. I can also help with meal planning and can provide in-depth dietary analysis on request. Prior to your appointment, I will ask you to complete a confidential questionnaire with details of your medical conditions, any medication and a food diary. In my free time, I enjoy cooking and testing my recipes on my friends and family. To balance this, I keep in shape with running, tennis and Pilates and like to stay up-to-date with all the latest fitness trends! I have always been very much into sports and general exercise and fitness. In 2015 I graduated from University of St Mark & St John with a BSc Hons Sports Therapy. During my degree, I was able to experience a whole range of sports therapy roles. 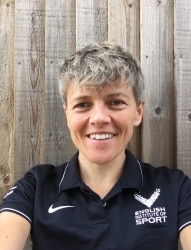 Prior to completing my degree, I Left College to undertake a foundation degree in Sports Therapy which in turn gave me a very good underlying knowledge before starting my degree. I have a lovely Labrador x Springer called Molly. In my spare time, I love nothing more than taking her on long walks on the beach. All physiotherapists at Tavistock Physio Clinics are members of the Chartered Society of Physiotherapy (CSP) and are recognised by the Health and Care Professions Council (HCPC) and are covered by professional liability insurance.